With spring coming, we went on a small weekend getaway for a quick relax time. So we went as far as 100 km drive-away to explore! 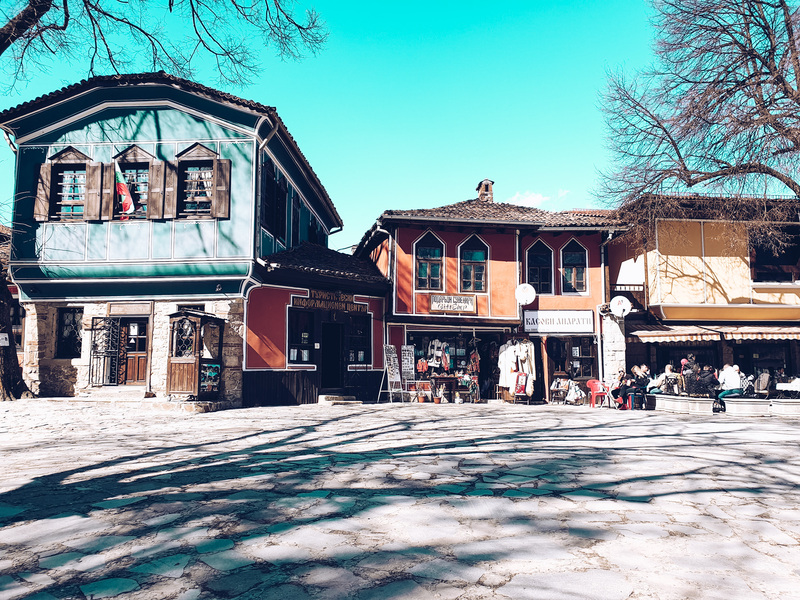 Packing light, we visited cities like Panaguyrishte, Koprivshtitsa, and Starosel, offering lots of lovely sights to visit. Only an hour drive away is located the park area Oborishte, a historical place at 7 km to the north-west of Panagyurishte. 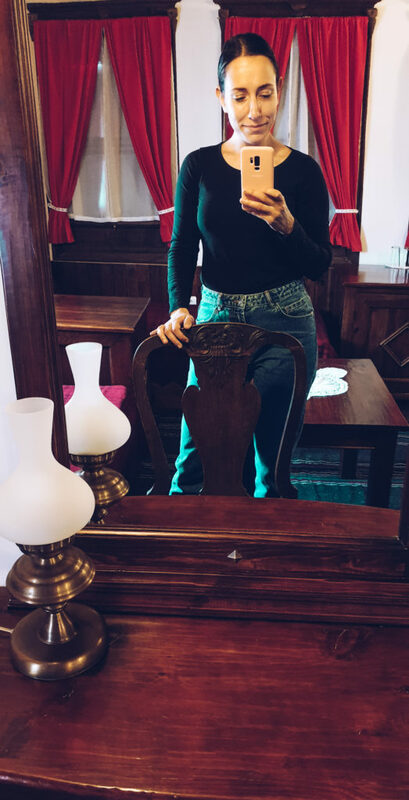 The place is important from a historical point of view, small and cozy to walk in, with lots of messages from Bulgarian national poets and patriots along the way to remind you of important cultural values and beliefs. Following our walk in nature, it was time for dinner and some nice time in Panagyurishte. We walked up to the МApriltsi Memorial Complex to see the beautiful sunset over the whole city. 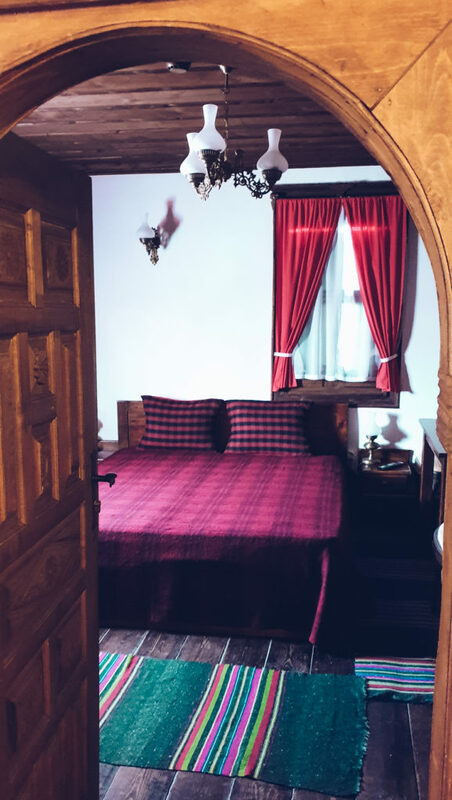 The night we stayed at a traditional Bulgarian house built over 160 years ago. The owners of Djudjeva House really put great efforts into the design and feel of the place. Service was great and the breakfast was just what you’d like to start the day within a traditional house – freshly made banitsa, homemade yogurt and traditional strawberry and blueberry jams. Тhe atmosphere of the house let us dive in the beauty of the past, and in its authentic architecture, we felt the unique revival spirit of Bulgaria. As weather was great, we left the famous Panagiurishte Treasure for another time, and rather left off to Koprivshtitsa. The road to there was amazing with the snowy mountain hills in the background. As for the city itself, I am still amazed how people can be living in such beautiful houses – they must feel like the luckiest people on earth! After a long walk in the sun among the historical houses, we have a quick lunch and drove off to our next destination – Starosel Spa and Wine Complex. The place has everything to offer for a calm and healthy end of the weekend. We had a tour around the winemaking factory and did an extensive wine tasting. This led to more wine tasting/drinking after. We really appreciated the thermal spa pools and relaxed the next day. What is more, the restaurants of the complex are really great and cozy to have some quality time over a good meal. At goodbye, we bought wine from the limited wine selection especially for guests of the hotel. One thing to keep in mind for next time would be to visit the Thracian cult complex right next door. We loved our weekend getaway! 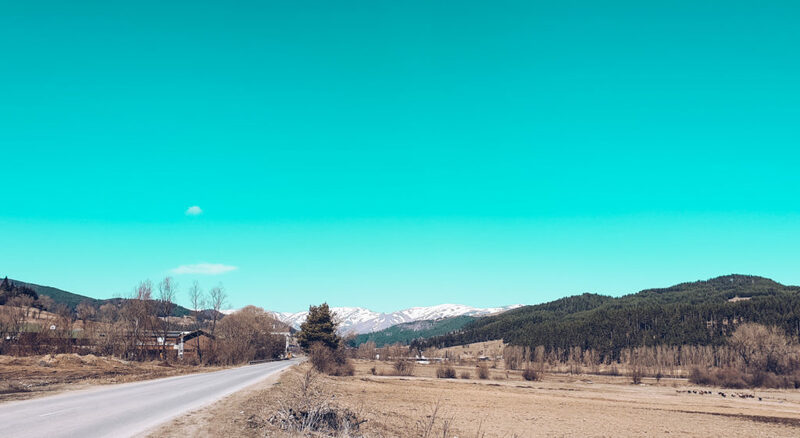 It was a quick drive away from Sofia, the weather was just perfect and the places we stayed made us totally relaxed. Definitely a thing to do a bit more often!